For the 2017-2018 season, tuition for our school-year programs is $350 per student. There is a $20 non-refundable application fee that is credited towards the tuition for all accepted students. All of our instructors for the Suzuki String Academy courses have Registered Training with the Suzuki Association of the Americas (SAA). The Suzuki String Academy is directed by Ms. Visick​. ​The Sinfonietta is our entry-level string orchestra, designed for students interested in their first ensemble experience, as well as those developing fundamental skills for orchestral performance. The ensemble consists of players of violin, viola, and cello. The Sinfonietta focuses on the study and performance of works that help develop fundamental ensemble skills, including the string orchestra works of Bach, Handel, Telemann, Corelli, Vivaldi, and other major composers of the Baroque Period. Rehearsals are on Friday evenings from 6:15pm-7:15pm. ​The Sinfonia is our intermediate string orchestra. The ensemble consists of players of violin, viola, cello, double bass, harp, and piano. The Sinfonia focuses on the study and performance of core string orchestra repertoire spanning the range from Vivaldi, Corelli, and Bach through Mozart, Tchaikovsky, and Bartok, as well as exploration of original contemporary works. Rehearsals are on Friday evenings from 7:15pm-8:45pm. The Symphony is our advanced full orchestra. The group is made up of string, woodwind, brass, and percussion players. 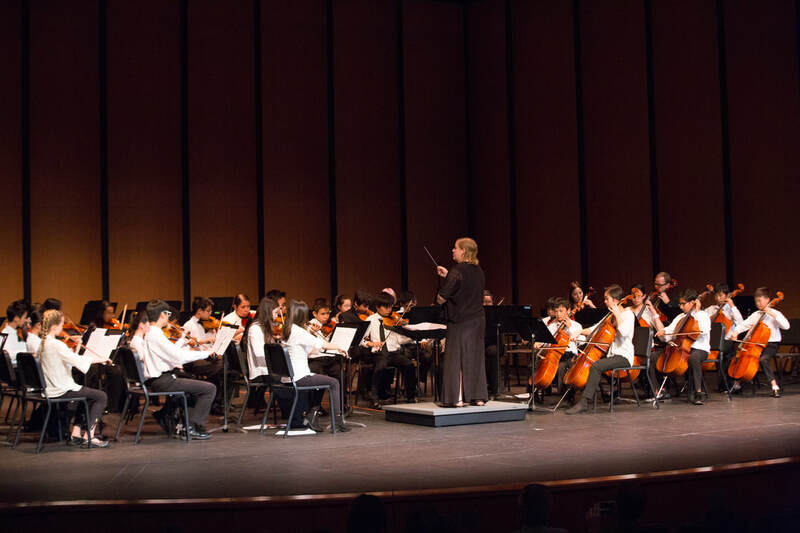 The Symphony is intended to be a training ensemble for students to rehearse the core orchestral repertoire of Haydn, Mozart, and Beethoven as well as the major composers of the Romantic Period. It also premieres the work of contemporary composers, presents talented young soloists, and engages in artistic collaborations with a diverse range of non-profit organizations in dance, drama, and choir. Rehearsals are on Friday evenings from 7:15pm-9:15pm. Community Youth Orchestra of Southern California is pleased to offer a unique Community Service Program (CSP) for high school students in grades 10 through 12 who wish to develop skills in arts administration and music education, serving as operation assistants as well as mentors for younger students in our Suzuki Academy and String Orchestras. CSP members also have the opportunity to volunteer with our partner outreach programs that serve disadvantaged youth. CSP students participate through a full fellowship provided by CYOSC, and pay no fees. 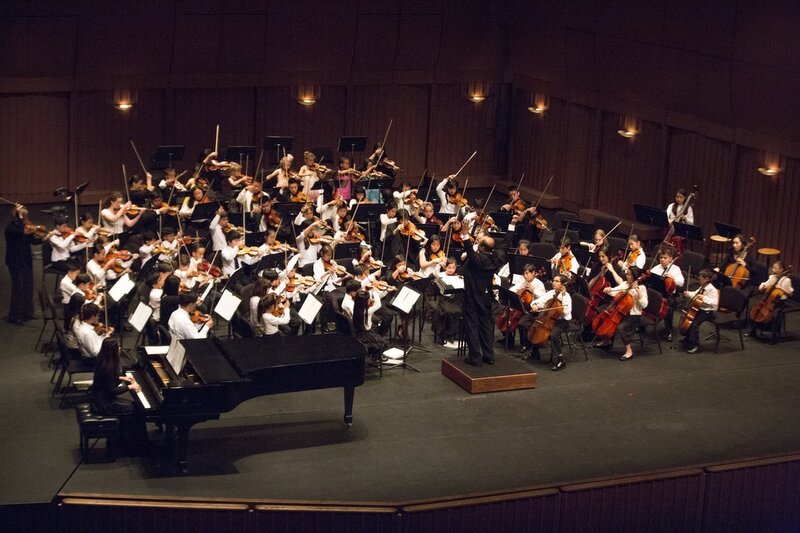 Community Youth Orchestra of Southern California is committed to offering students a unique social and musical experience that is not duplicated anywhere else in Orange County. 1. Reasonable tuition costs with no hidden fees or "extras." The 2017-2018 yearly tuition for participation in our ensembles is $350 per student. A non-refundable $20 application fee is directly credited towards the total tuition for all accepted students. We have only increased the tuition cost slightly over the past few seasons. There is no "workshop fee" for extra rehearsals and coaching as everything is already included. There is no "mandatory donation" to support our non-profit organization, as we seek sources of funding beyond our participating families. There is no door-to-door fundraising. Adults fund-raise...kids learn about music. 2. A budget that makes sense. CYOSC puts the funding that we have towards the facilities we use, primarily compensation for the teaching staff, sheet music, and miscellaneous materials like folders, pencils, and name tags. We don't have an advertising budget, there is no expense account for staff parties, and our financial records are as transparent as possible. Our board of directors and Music Director are constantly working on developing grant funding to support the orchestra's activities, and very recently we have started committing a portion of our budget towards teacher training. 3. Interaction with coaches at every rehearsal. 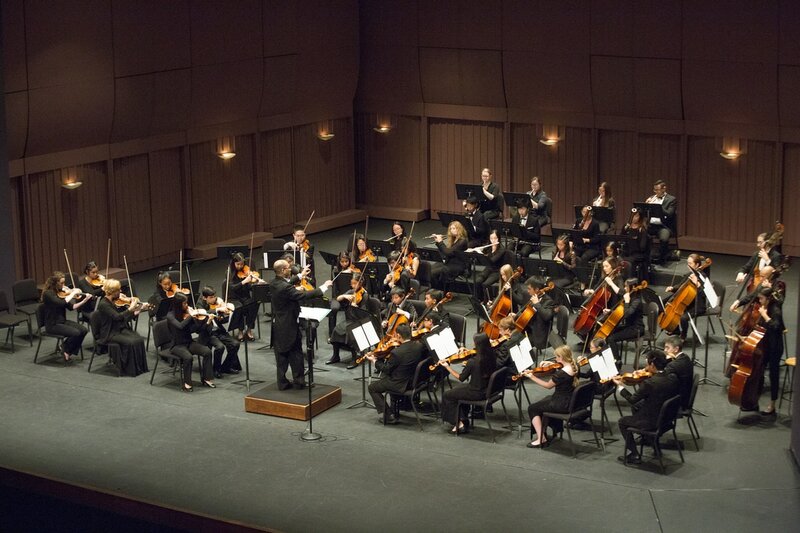 Our coaching staff works with this orchestra because they love working with young musicians. This is not a job that pays so highly that most adults would willingly give up their Friday evenings for most of the year to hang out with junior high school kids! Over each season, our staff creates a real sense of community with our students, knowing every single one by name, and ensuring an effective partnership in differentiated instruction to serve the individual needs of players at a diverse range of ages and ability levels. CYOSC does not engage students in expensive "pay to play" programs that present families with the illusion of musical prestige when none exists. If travel is your main goal, there are numerous other organizations throughout Orange County that will happily accept your many thousands of dollars to visit any number of major tourist destinations with instruments in tow. 5. No seat-ranking or "chair" challenges. Competition is a healthy part of any organized activity, encouraging people to excel to higher levels of performance. However, we don't find standard seat-ranking or chair challenges to be effective educational tools. To us, they are a huge time-wasters in an activity that is already time-limited. In a collaborative effort, the music staff determines section rotations for every single player through many weeks of rehearsals, and assigns principals for concerts only based on the quality of student work, rewarding those students who earn leadership positions by the merit of their playing and contributions to the ensemble. There is no "last chair" or "first chair" in CYOSC ensembles, but every musician is held accountable for their part! If you are truly concerned about seat-ranking and absolutely need a numbered "chair" in order to validate your activities in ensemble music, then we strongly urge you to find another orchestra to play in, because you will be very unhappy with ours. 6. Four major concert performances each season, with limited rehearsal time. We understand that rehearsing the same music for weeks and months on end usually creates one frustrating result: boredom. While it can be important to polish a work repeatedly over a year's time until it achieves a state of near-perfection, that really isn't our goal here at CYOSC. We want our students to be exposed to a lot of great music, especially the major works from from the Baroque, Classical, and Romantic eras. On average, ensembles spend between 6-8 weeks preparing for each concert, and it is a process that leads to a lot of growth over a season as our students discover how to make more effective use of their available rehearsal time. 7. Partnerships with private teachers and school music programs. Our program is designed to enhance and not replace the music education that is offered to students in their school music programs and private lessons. 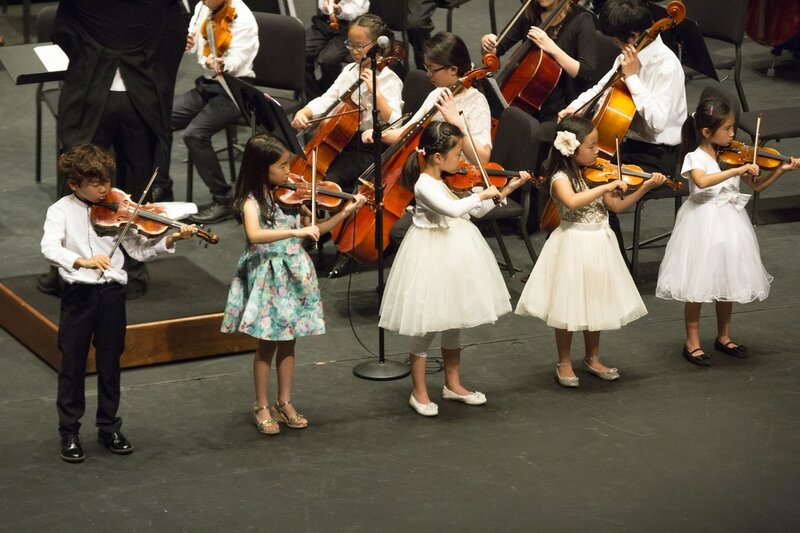 We collaborate with private teachers in our community to ensure level-differentiated instruction for their students in the orchestra, and encourage all members of our orchestras to be fully-participating members of their school music program (if one exists). Our coaching staff does not recruit private students from our ensembles nor away from other teachers, and nearly all of them have their current students participating in the orchestra already! 8. Community Service through Music. As teachers in K-12 public and private institutions, we recognize the need for community service that engages our students to use the skills they have developed to help others. In sharing our passion for teaching through music, we hope to inspire the next generation of educators while communicating the important lessons about life, character, dedication, responsibility, and all those attributes we want our kids to embody in a positive way. We sponsor part of the cost of professional development/teacher training for our younger teachers, our Community Service Program helps cultivate student leaders through volunteer activities, and our Music Director, Mr. Wie, serves the orchestra entirely as a volunteer (unpaid) and has done so since he assumed leadership of the organization in 2005. As parents and educators ourselves, we expect a lot from our students. We know that they are intelligent, curious, and capable of accomplishing far more than they know. We understand that a little bit of struggle is not a sign of lack of intelligence, but rather a necessary component in learning about dedication, commitment, and personal responsibility. While CYOSC rehearsals can be fast-paced and intense, we balance that with a good dose of humor and a willingness to help students find their way, no matter how long it takes. 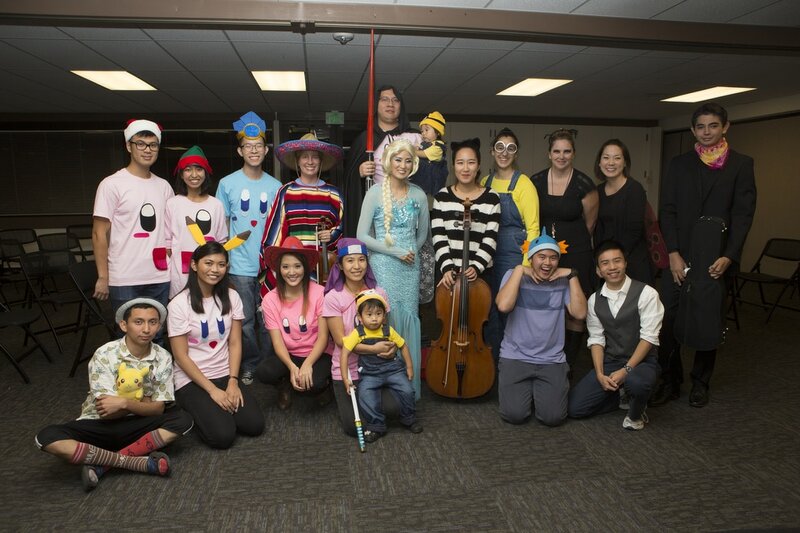 Community Youth Orchestra of Southern California is a City of Irvine-based 501(c)3 non-profit arts education organization. Founded in 1989, for over twenty-five years we have offered a diverse range of musical training and community service programs for instrumentalists of all ages and ability levels. We rehearse and perform at Community Centers throughout the City of Irvine, and sponsor professional development for emerging teachers. Email is our primary method of communication. Due to our small office staff size, at this time we are unable to provide services over the phone.